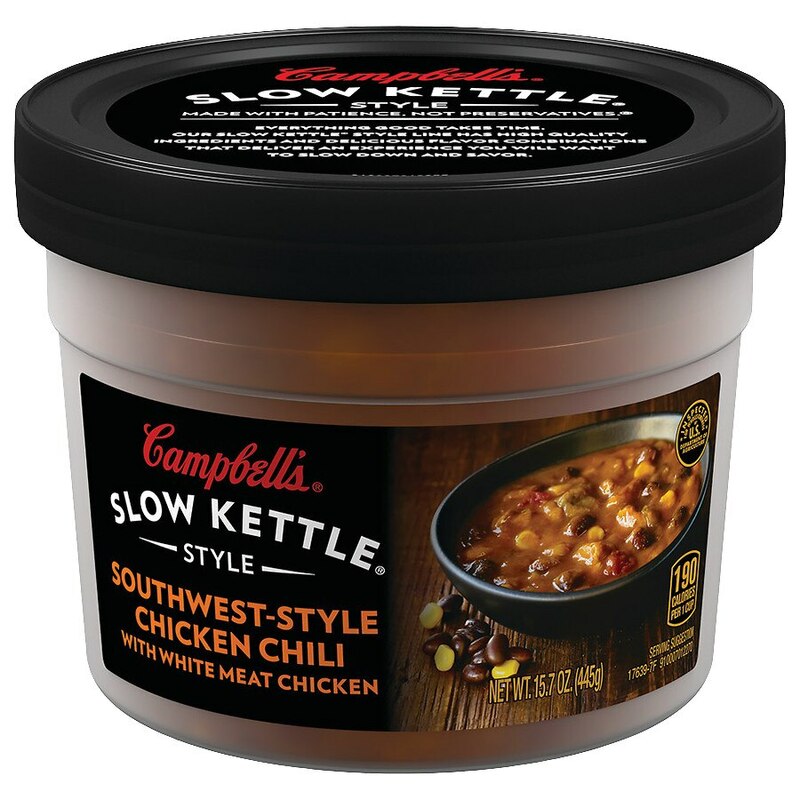 Indulge in the bold flavors of high-quality ingredients, simmered to perfection in Campbell's® Slow Kettle® Style Southwest-Style Chicken Chili with White Meat Chicken. Our slow-coooked recipe has premium white chicken and veggies packing incredible flavor. Satisfaction guaranteed. If you have questions or comments, please call 1-800-257-8443. Please have code and date information from container.